IPL is about to end in couple of days. Fans and others across the globe are guessing who is going to win the crown on 27 may in Wankhede Stadium. After a long trail of matches we are in the final stage which decide who will going to be cease IPL trophy in their Cabinet. Tonight KKR is ready to erase all their last season’s disappointment after losing their spot in the finals. In their home Ground KKR will be cheered up by their fans. With the IPL playoffs well underway, today’s game is set to bring about a lot of emotions, eyes full of tears and entertainment as one team will be eliminated at the end of this nail biting match. The King of the today’s match will fight either with Chennai Super King or Sunrisers Hyderabad in third playoffs on Friday. The Overall atmosphere of Eden Garden Stadium will support KKR because of their home ground. They are familiar with the pitch conditions and bounce over the pitch. 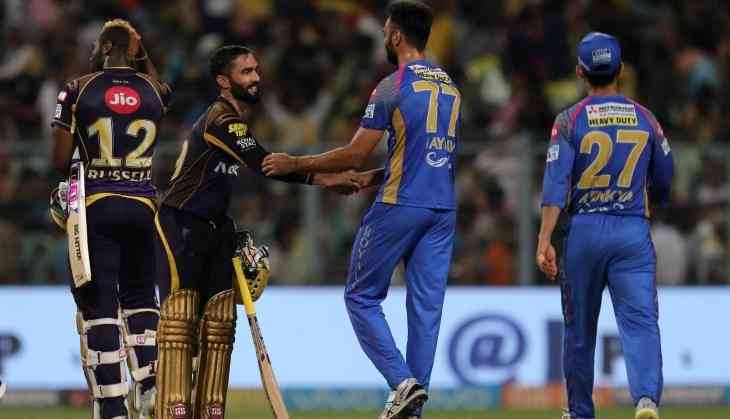 KKR lost just three games at their home ground against table-toppers Sunrisers Hyderabad, Mumbai Indians and Kings XI Punjab. The KKR won five out of their seven matches in homes, league stages of IPL season. In 2014 IPL season, KKR has played their qualifier 1 in their home ground and register their win against Kings XI Punjab by 28 runs. Also Read- IPL 2018, KKR Vs RR: Which team qualifies for Qualifier 2 in case of a washout?